A top militant believed to be involved in a number of assassination attempts and murders of law enforcement officials has been killed in Russia’s Southern Republic of Dagestan. 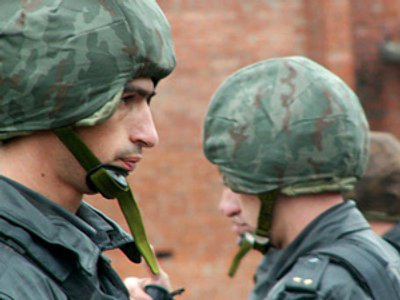 Erlan Yusupov was eliminated during a counter-terrorist operation on Tuesday in the republic’s capital, Makhachkala. After being surrounded in a building by security forces, the militant opened fire and tried to break free from the cordon. “As a result he was fatally wounded. The suicide belt he was wearing detonated during the shootout,” reported the National Anti-Terrorist Committee. Among the crimes Yusupov is accused of are several attacks on energy and communication facilities in Dagestan. The militant was known as one of the closest allies of Magomedali Vagabov, a leader of one of the militant groups in Dagestan killed by security forces earlier this year. Vagabov is suspected of organizing the deadly Moscow Metro blasts in March.